Another Valentine’s Day, another red rose. Not necessarily! 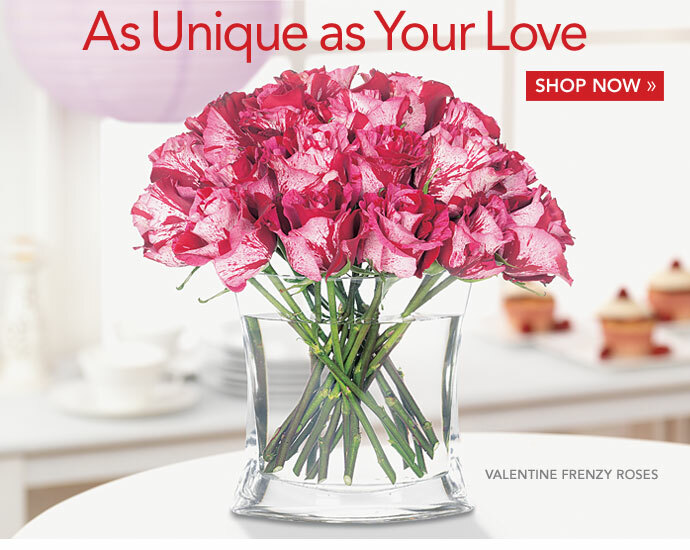 We were very inspired by this oh-so-different rose variety called “Crazy One” and created the bouquet, Valentine Frenzy Roses. Right away you’ll see this is not your average rose. It makes a very strong statement of beauty in a more casual, less traditional way upon arrival. Each petal is defined differently by shades of rouge, pink and white. This variegated flower is an unconventional novelty and one that will be remembered for years to come by your loved one.